World renowned milliner Stephen Jones sets up his collection at the Royal Pavillion in Brighton, England, and our own milliner Kathy Anderson is represented by a hat he was inspired to make for her. It’s the beautiful coppery shimmery crown in the bedroom scene at 5:46. “My mom was really special in helping me accept this aging process. I never remember her dyeing her hair and she used to dress well, too. I’ve seen how vibrant you can be as you age; you can keep on being yourself. People say all the time, “Oh, she won’t tell you her age, you can’t ask that.” On my birthday, I was telling everybody. I was happy to be turning 63. I got my first gray hair when I was 11 years old. It was odd because a guy was sitting behind me in class and he was like, “Oh, you got a gray hair,” and he pulled it out. Then, over time, it just started being a little bit more gray. I started locking my hairin the '80s. I’ve had three different loc sets that I've cut off. I’m learning to embrace being older. A girlfriend recently said to me that she was going to the beach and the subject of cellulite came up. She said, “Well, I earned my cellulite.” And I thought, You know what? She’s right. I earned these wrinkles and gray hair. I am who I am. God created all of us to be different. Welcome to Life Begins At. Refinery29 is proud to team up with AARP to bring you honest, intimate stories that aim to uncover all the unique experiences that come along with living — no matter your age. It’s time we shed the negative stereotypes, unconscious cultural bias, and misconceptions associated with age and get real about what aging really looks like for us. Because it’s not about how old you are; life begins when you decide to start living it. Left: Kenzo top; Valen & Jette Rena Earrings, $128, available at Valen & Jette. Right:Cynthia Rowley Harper Stretch Plaid Dress, $425, available at Cynthia Rowley; Hats By Kat hat. 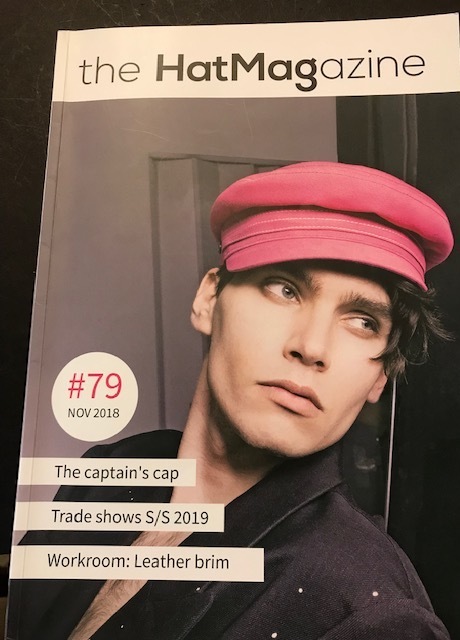 Check for the above article in January’s Hat Talk Magazine! "I have come across some incredibly inspiring women throughout my life. I am now sixty. I want to celebrate my connection women aged between 60 and 115. It is my on-going project, one that I started because I want to connect with the world as an older woman, I want to be visible, I want to explore the idea of aging, and I want to find my own way in celebrating this transition. As this project is underway, I can see changes that are emerging within me - I want to share some of my photographs of the women who have bravely shared their life experiences and their essence with me. A captured moment in each person’s life." Inspired by the scary-cute grandmother at the root of Hereditary's horrors, A24 presents EVIL GRANDMAS, a limited edition wall calendar depicting thirteen Satan-worshiping grandmas. The Evil Grandmas 2019 Calendar is available to pre-order on the A24 Shop! --http://shop.a24films.com"
Takako Johnson in Hats by Kat's Pink Sinamay Flower Fascinator. This picture was taken at the British School at Waterside Plaza. From famed milliner Stephen Jones Millinery's Autumn/Winter 2018 Collection "Crowns", we present "Kathy Anderson", a shirred leath Zulu toque. The church hat is more than just a fashion statement, it’s a part of a long and cherished African American tradition. 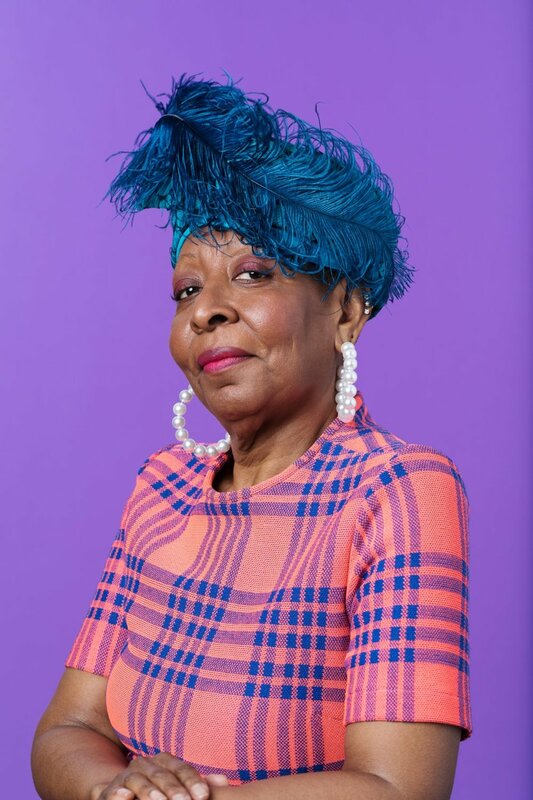 For hatmakers Evetta Petty, Kathy Anderson and Wanda Chambers, the church hat is a crown, and when a woman puts one on, she becomes a queen. 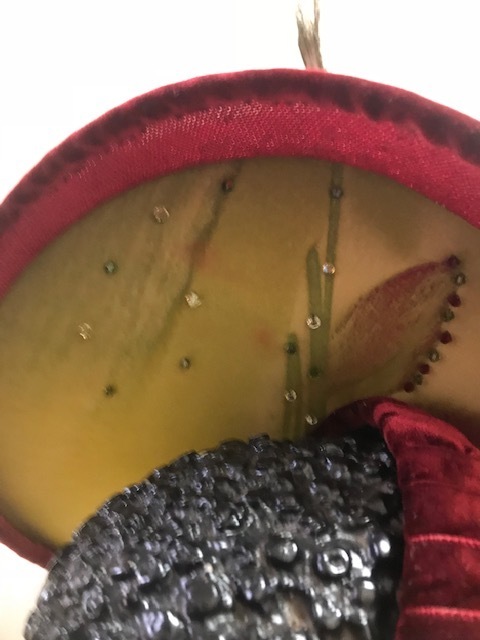 The three milliners have dedicated their lives to crafting elaborate and vibrant hats, seen everywhere from pews of churches to the pages of Vogue. For them, the right hat is a religious experience, a piece of art worn atop the head. Now, they’re hoping to pass the crown down to the next generation. Kathy Anderson appeared on TLC channel's Cake Boss during Season 7. She was joined by the rest of the Milliner's Guild who commissioned a cake in the shape of an Easter Bonnet to be made by the team. Kathy, of course, is wearing the red fascinator. Kathy Anderson has a Bachelor of Science Degree in Fashion Marketing and Related Industry from The Fashion Institute of Technology. She has worked for 30 years in the fashion industry in production, purchasing, textile, sportswear, lingerie, and swimwear. Kathy returned to FIT in 1997 to take various courses in fashion styling, hand and machine knitting, silk and felt flower making and millinery. 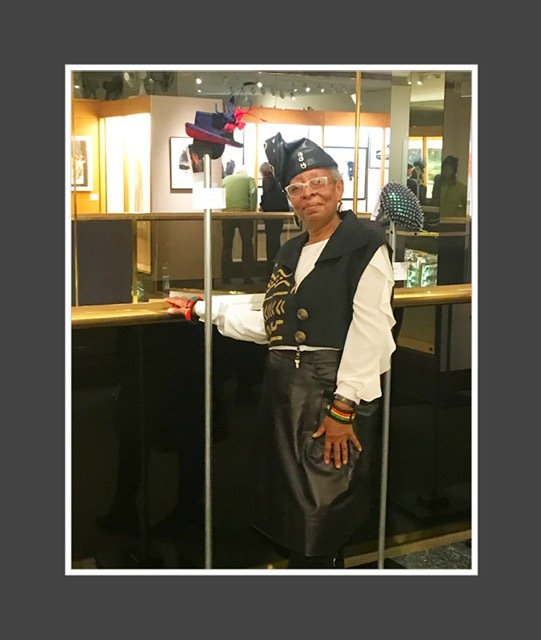 She fell in love with the art of millinery, having taken more than 15 millinery courses with Professors Ann Albrizio who founded the millinery program and with Professor Nora Navarro. In 2012, Kathy traveled to France to study with British milliner Dillon Wallwork. Kathy attend 2016 Millinery Meet Up in Gatlinburg, TN where she studied with Ireland milliner Lina Stein, Austria milliner Jane Stoddart and Netherlands milliner Eugenie Van Oirschot. Kathy was a part of " Mercedes Benz New York Fashion Week Green Show September 2010, an exhibition at FIT in April 2012 "One Block Many Milliners" with Milliners Guild of New York , "Night and Day" exhibition in March 2013 at The National Arts Club also with the Milliners Guild. The Garment Center NYC space for public art display of the Milliners Guild showcasing members hats and our website in March 2014. Kathy was also an exhibiting artist at ArtsWestchester exhibition "HAT-titude: The Milliner in Culture and Couture" from February 9,2014 thru April 12, 2014. Kathy had a leather cloche hat in the exhibit "The Milliner's Tale The Craft of Hat Making" at the Museum of Early Trades and Crafts from January 17th - June 29th 2016, in Madison, NJ, www.metc.org. 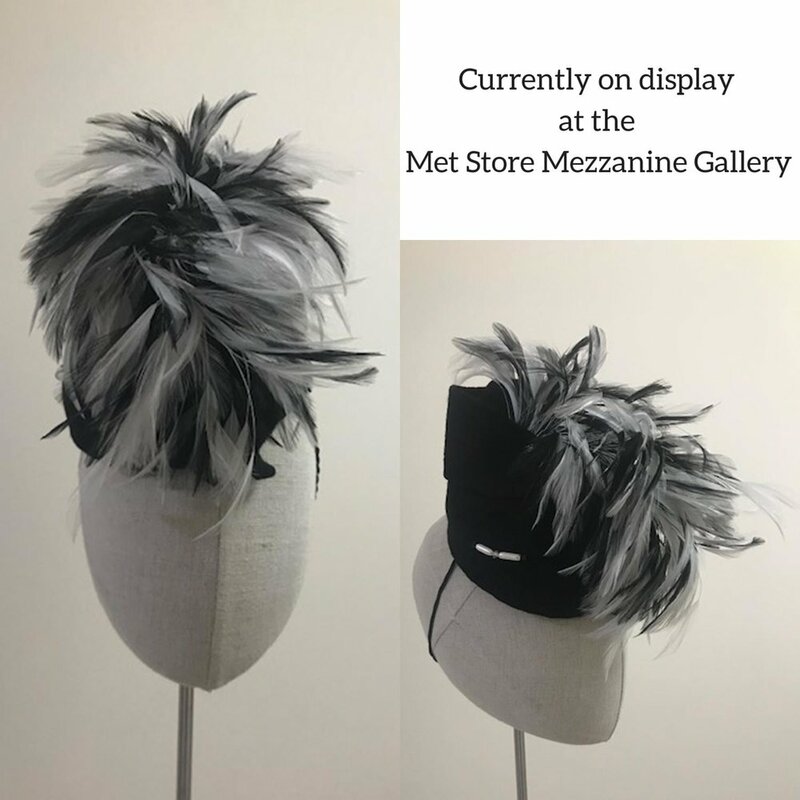 Kathy also had two hats in an exhibit "The Mad Hatters: New York Hats and Hatmakers" at City Lore Gallery 56 E. 1st Street and 1st Ave. Manhattan, NY from May 19th - October 16, 2016. Kathy had a hat in the exhibit at the Fire House Museum on Spring St. in September 2016 doing Textile Month celebrating Firefighter bravery and passion for their job. The hat was inspired by a fire helmet from early 1900"s.
After taking classes and receiving her Certification in Millinery, she knew that designing hats would be her profession. So the time had arrived to go after her dream and “Hats by Kat and Accessories Too “was born. All of Kathy’s couture hand blocked hats are made in her atelier in Manhattan. Kathy also has a line of cut and sew fabric, leather, fur and faux fur hats. She makes beautiful and stylish leather flower bouquets, brooches and headbands. The leather bouquet is suitable for bridal parties or just about any special occasion. Kathy specializes in one of kind hats, she buys limited designer sample fabrics and leather. Upon request she will do special orders on any idea in her collections. The various styles of all cut and sew hats can be made for both fall/winter or spring/summer fabrics and leather. Kathy is the treasurer of the Milliners Guild of New York and is currently a member of The Headwear Association, an organization in it's 110th year.